Welcome! 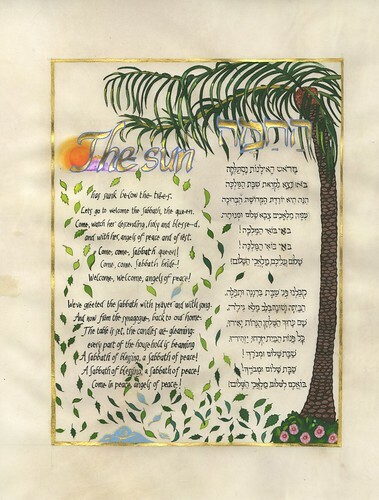 Join me for a tour of my ketubot (or ketubbot, or ketubahs, or however you pluralize ketubah), papercut Invitations Judaica, presentation artwork and celebrated illuminations of biblical books: The Song of Songs: the Honeybee in the Garden, I Will Wake the Dawn: Illuminated Psalms, and most recently, Arise! Arise! Deborah, Ruth and Hannah. 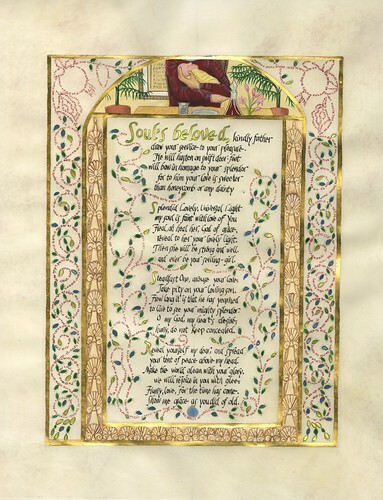 Illuminated manuscripts are magic! 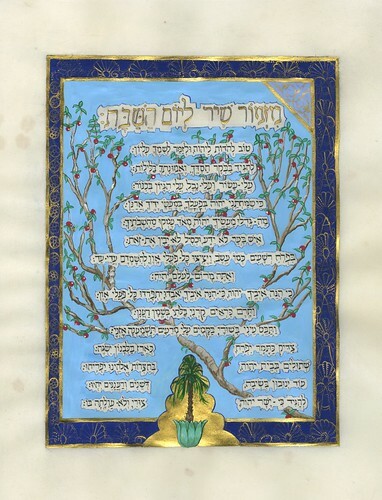 My works fuse Jewish spirituality with delicate painting in glowing color and gold, with exotic papers and parchments, fine calligraphy and delicate painting to create unique reflections of my clients’ lives and extraordinary books. 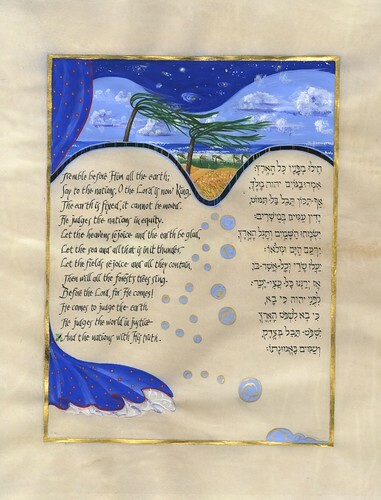 The links above will open the world of my ketubot, presentation artwork , and original Invitations Judaica catalogue line, my acclaimed illuminated books of the Song of Songs, Psalms and the Deborah, Ruth and Hannah stories to you. 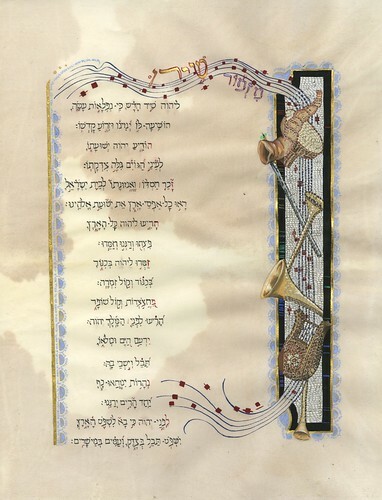 The Jewish Book Council has posted blog entries giving the back-story of my newest book, Arise! Arise! Deborah, Ruth and Hannah. 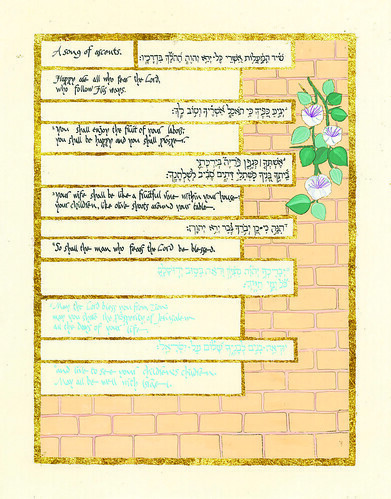 Take a look at the JBC blog! I speak on my work frequently across the United States. 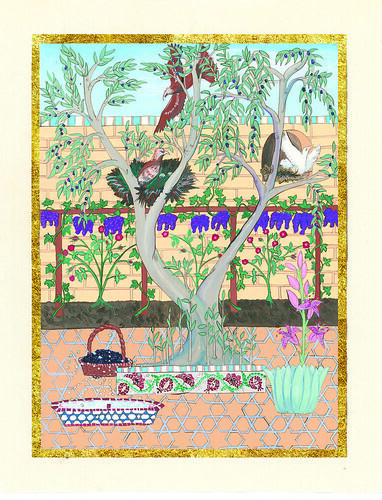 The link above presents a list of my talks and exhibits in the near future. 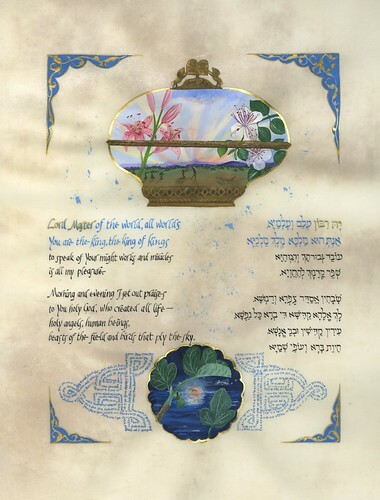 You may also view my 2008 talks at the Library of Congress in Washington DC on I Will Wake the Dawn: Illuminated Psalms and The Song of Songs: the Honeybee in the Garden. 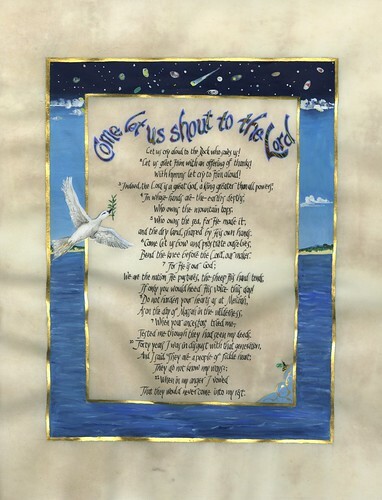 And, you can now view the webcast of my November 19, 2012 Library of Congress talk on my new Arise! Arise! Deborah, Ruth and Hannah. Enjoy! Climb onto my magic carpet!